After a fun filled 3-day weekend and a long week of rain, it’s about time for this weekend to come around and bring us some new and exciting fests!! Summer isn’t over yet, and neither is wedding season! So get your throwbacks in and your wine on this weekend before Sunday Night Football and Chicago's biggest rivalry. Returning for it’s 2nd year of smoked meats and barrel-aged bourbon, Chicago’s Bourbon and BBQ Fest takes place in Roscoe Village neighborhood and features 2 stages of live music! Chicken, ribs, a little country flair mixed with local talent - a little bit of everything for everyone at this finger lickin’ fest! Taking place in Gladstone Park, Throwback Music Festival is the perfect way to travel back to the 50s, 60s, 70s, 80s, and 90s to find that perfect tune. Looking for bands or DJ inspiration? This is the place to hear all your local and versatile bands in one place with one goal. Who doesn’t love donuts? And if so, why not look into alternative dessert station or a late night snack option? 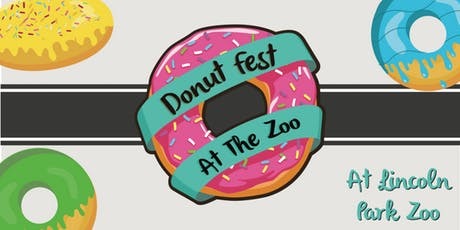 Donut Fest at the Zoo is the perfect opportunity to test out some of Chicago’s best donuts while sipping on coffee, mimosas, beer, or whatever pairs best! Held at Lincoln Park Zoo with the zoo’s amazing animals and gardens, tickets on sale now! Witness German Hospitality in the Lincoln Square neighborhood with good food, music, and beer in this year’s German-American Oktoberfest! Of course don’t forget the parade on Saturday at 2pm and Mass on Sunday at 11am - food and fun for all this weekend! This Friday and Saturday, take a walk to Chicago’s Buckingham Fountain for the Windy City Wine Festival which includes over 300 different wines and sample bites from some of Chicago’s top restaurants and caterers! Learning which wines pair best to ensure your guests have the finest experience, or perhaps to find the next anniversary wine for you and your significant other! The possibilities are endless in this downtown festival.